Cristiano Ronaldo has confirmed he is leaving Real Madrid for a new challenge at Juventus. The two clubs have agreed a deal, believed to be worth a staggering £105m, for the Portuguese superstar. 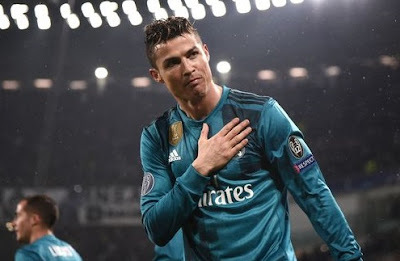 Real issued a statement confirming they had agreed to let Ronaldo go with the player hinting he would leave after the Champions League final. It brings an end to his nine-year stint at the Bernabeu, in which he became the club's all-time leading goalscorer. Ronaldo admitted the time had come to start a "new stage in his life" and had asked Real to agree to his move to the Italian champions. Ronaldo is set to pocket a staggering €30m-a-year with the Italian champions after agreeing terms. He could make his debut later this month when Juve begin their tour of the United States.